In the Levi tourist resort in the center area. Wood and stone built house on the second floor of the apartment hotel. Built in 2006. Kitchen-living room with sofa bed, loft with steep stairs (3 beds). Electric sauna and washroom. The apartment has Wi-Fi, 2 TVs (second TV in the loft). The house has in shared use a laundry room, warm room for ski maintenance, also own lockable storage cabinet and heat plug for the car. 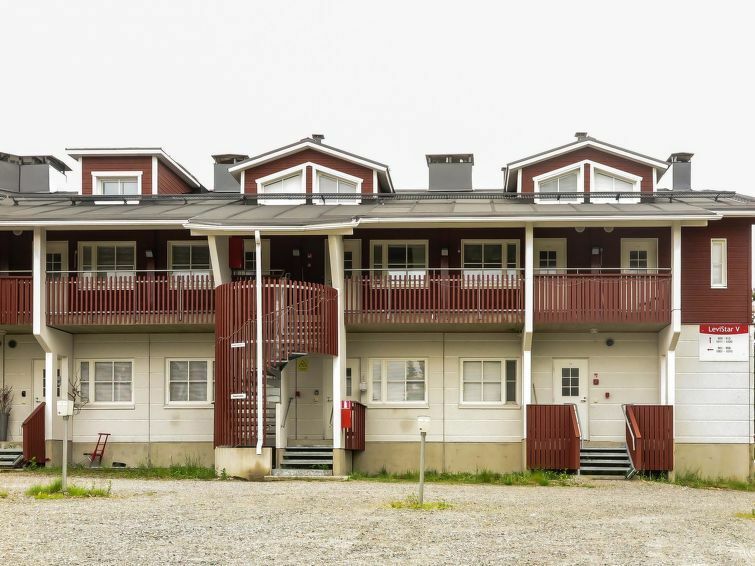 Renovated apartment in the center of Levi. All services within walking distance. For example, restaurants 300-600 m, spa 650 m, ski slope 650 m, golf course 4 km.